M-Pesa users in Kenya and Tanzania can now send money to each other electronically using their mobile phones, Vodacom said on Monday. 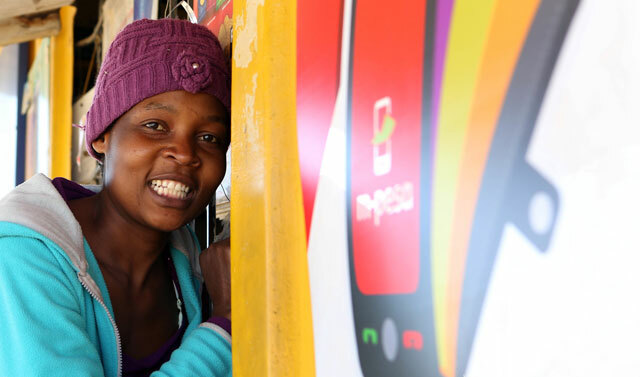 Vodacom has 7m M-Pesa customers in Tanzania, while sister company Safaricom has 18m in Kenya. The new service allows for mobile wallet-to-wallet transfers between customers of the two networks. Kenya is Tanzania’s largest trading partner. According to Vodacom, more than US$100m is sent from Tanzania to Kenya through formal channels annually, with more than $14m sent the other way. However, estimates indicate that more than twice that amount is transacted via informal channels, including bus drivers, friends and family, said Vodacom Tanzania MD Rene Meza. Before the money is sent, the Vodacom customer will be shown the Kenyan shillings equivalent value of the money that the customer in Kenya will receive. The currency conversion will happen immediately and the money will be available instantly for withdrawal or making bill payments, buying airtime or any other services on M-Pesa. Vodacom said it has about 65% market share of mobile financial services in Tanzania. Safaricom’s share in Kenya is over 80%, it said. The company added that Tanzania is home to about 300 000 Kenyans who remit funds to their home country.